A black and white negative showing the Whitby Stokers baseball team. 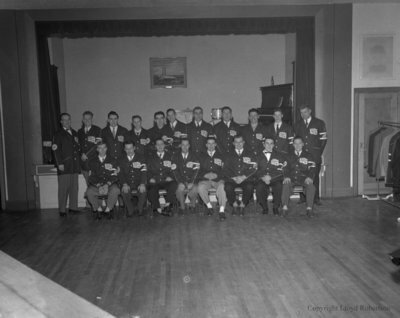 This picture was taken in the Royal Canadian Legion Hall, Whitby, Ontario. Whitby Stokers Baseball Team, 1955, Lloyd Robertson. Whitby Archives A2014_002_011.